I was having dinner with my girlfriends last week, and compare to our early 20’s, we are now so much more at ease and so much more comfortable being ourselves, now that we are approaching the big number 30. We are a lot more at ease, feeling great just being ourselves because we care less what other people think of us; we make more money and hold more important position in our jobs. Most importantly, we know how to navigate through life our own way. Less is more – We no longer buy as many cheap and fast fashion, no more forever 21 dresses nor colourful Kate Spade and Juicy Couture; and more Chanel, Céline and Louboutins. What’s not to love? Here are 12 items that I think are worth to invest in for a grown up wardrobe. “Good shoes take you to good places” ever heard of that? So a pair of beautiful high heels will bring you to beautiful places. Invest in your basics. Then a practical and very Parisian ballet flats. 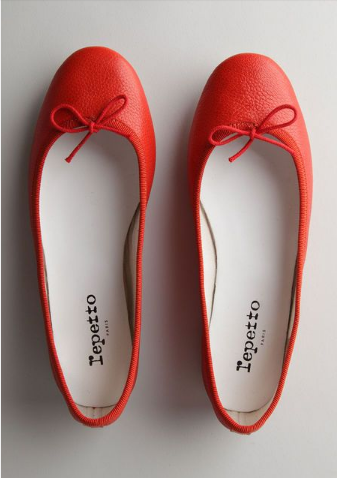 Repetto would be my go to store, provides just enough toe cleavage! Otherwise, Anna Baiguera’s annette style is a great alternative, but the sole is rather thin. You might want to take them to the shoemaker to put on a thin rubber sole before your first wear to extend the life of your flats.